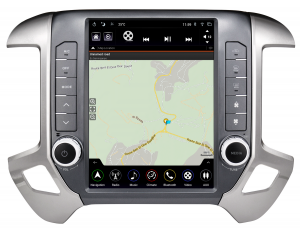 Will run Google Maps, WAZE etc. 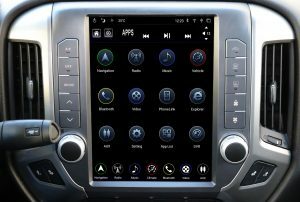 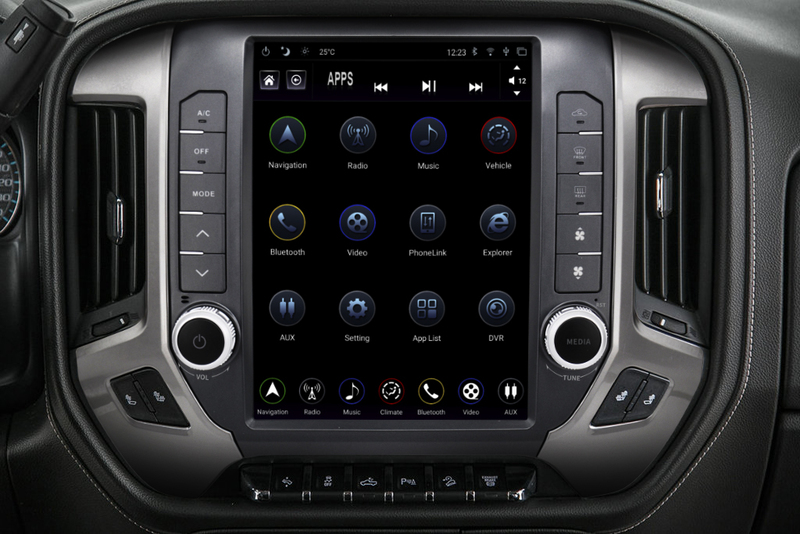 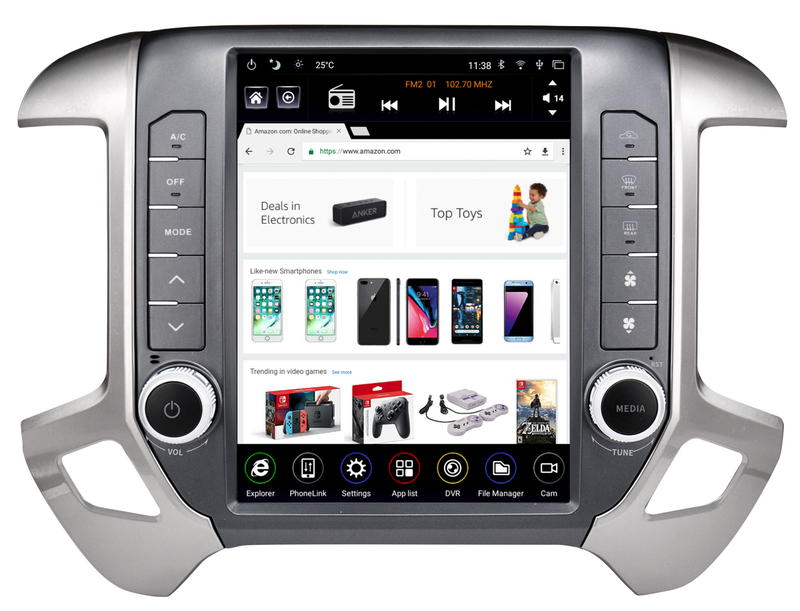 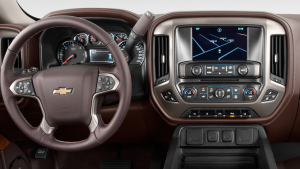 The Linkswell GEN3 T-Style multimedia center replaces the factory display screen and climate control center in select Chevrolet & GMC pickups, enhancing the dash with a 12.1-inch, multi-touch panel encased in a factory-match bezel. The climate controls are recreated on-screen, allowing the driver to access all related features. The Android™-powered multimedia center is optimized to display relevant information with minimal distraction. 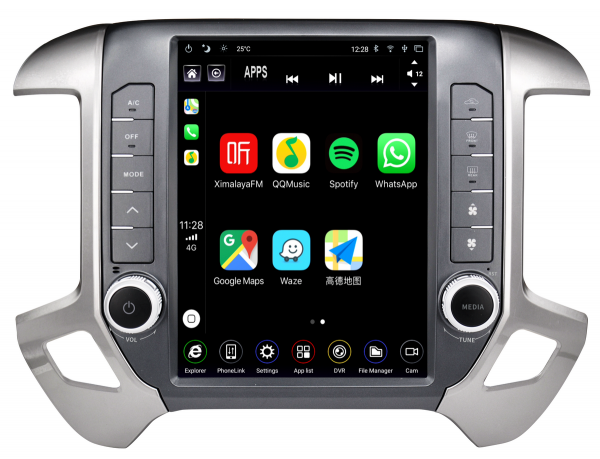 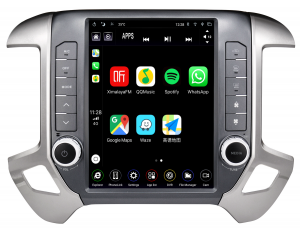 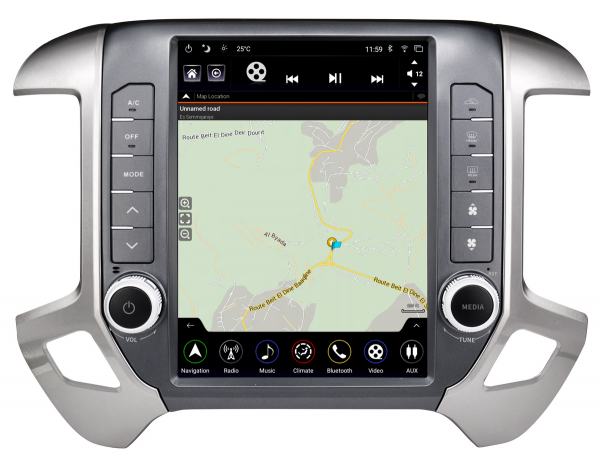 Google Maps is pre-installed, and your choice of Android navigation apps (such as Waze) can be installed to give you live updates while driving (internet connection required – via dedicated or phone hotspot). 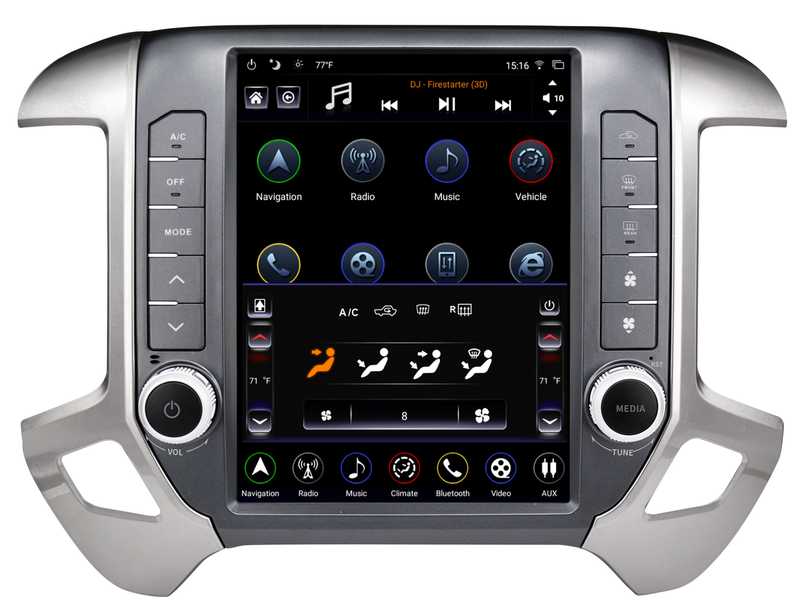 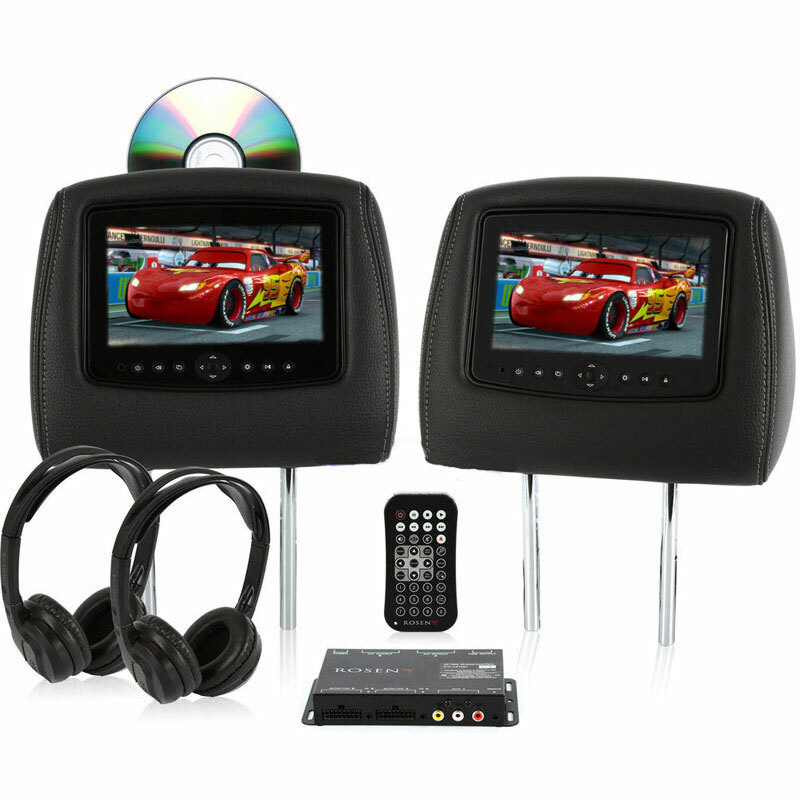 In addition to using the T-Style’s built-in AM/FM tuner, drivers can utilize the factory USB port to connect smartphones, and an additional USB connector for flash media. 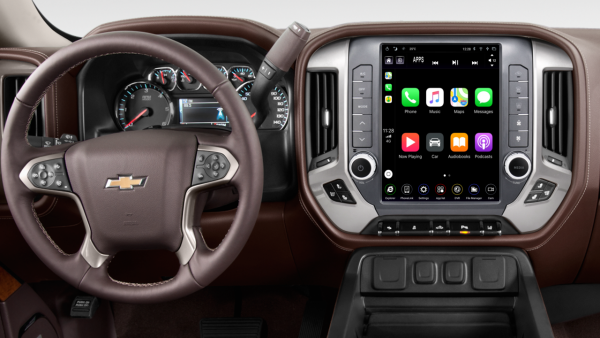 Bluetooth® connectivity enables hands-free phone calls and wireless music streaming. By connecting the Linkswell GEN3 T-Style to a mobile or smartphone Wi-Fi hotspot, you can access the Internet through a browser that displays full web pages with multiple tabs and search capability. 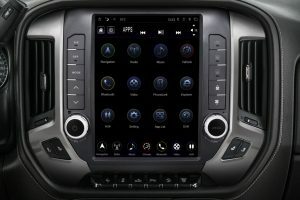 You can also use your subscription-based streaming services — Pandora® Internet Radio, SiriusXM® Satellite radio, Spotify® and more — by downloading the Android-compatible apps onto the unit’s 32GB of internal storage. 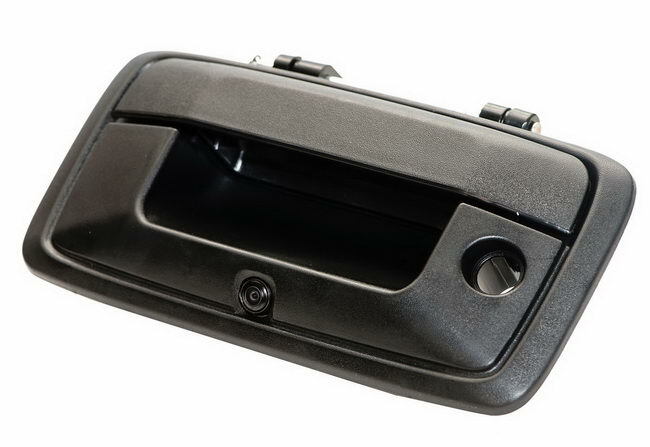 For safety, the Linkswell GEN3 T-Style has three dedicated camera inputs for optional front, rear and passenger-side camera views. 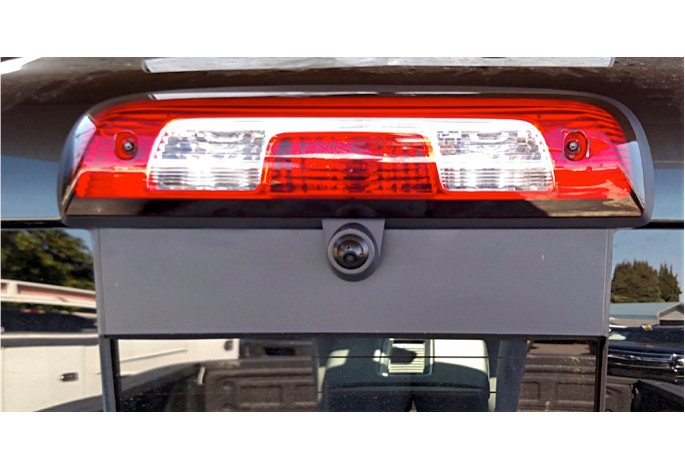 The reverse camera switches when the vehicle shifts into reverse gear, the right side camera when the right turn signal is applied, and the front camera is manually operated.